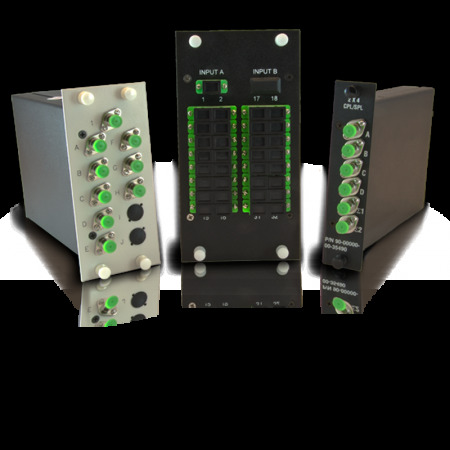 The coupler modules may be used in many configurations including the LGX style module and the rack mount package. The LGX module will mount into a fiber distribution panel for organization and the couplers are available in a wide array of split ratios and connector configurations. The rack mounts normally use 1U of rack space and are available up to 1 x 32.